So you’ve decided to play fantasy football, and may have heard a lot about it, but don’t quite understand how it works. You may even know someone who has mentioned playing it in the past and possibly found success with it. Whatever the case, fantasy football is an entertaining and competitive form of entertainment that involves both betting and of course bragging rights to the winning party. You might be interested, but know very little about how to play or get started on the path to success. It’s a predicament that is not uncommon for many individuals to find themselves in. CoolCat Online Casino would like to share the basics of playing American fantasy football and offer tips that will help you improve your skills through the various obstacles and uncertainties associated with it. 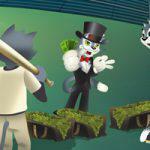 CoolCat Online Casino has put together your essential beginner’s guide on how to play American fantasy football. 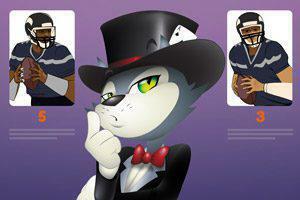 Play American football games online at CoolCat Casino today! The basic concept of fantasy football is simple. You and participating individuals select real football players from the National Football League (NFL) to represent made up teams in a fantasy league. Essentially, you function as an “owner” who manages a team in competition against the other owners’ teams in the league. Points are awarded based on the performances of the real players on the field on a weekly basis. If your chosen team scores more points than the other teams at the end of a season you are deemed the winner. Wagers can be made for what amount of points teams will win each week. Sometimes luck is all you need to win your fantasy league. However, any seasoned fantasy league participant can tell you that you should not simply rely on luck. Proper preparation and appropriate strategy is required in order for you to have a fighting chance. First things first, you’ll need to join a league. Leagues can be either public or private, and participants must indicate before the start of a season that they wish to sign up for a spot. Private leagues can usually be joined on an invitation only basis, but for most people, typically beginners; this is done amongst friends. You can choose to play for fun or for money. Certain leagues involve big money, whether in Las Vegas or online, and require minimum deposits to join. Be aware of the type of league you will be participating in, and familiarize yourself with the rules. Before you participate in the draft and select your players, you need to know how points in your league are awarded. This might seem like a no-brainer, but is often overlooked. Though there are various ways in which fantasy football leagues utilize scoring; two of the most commonly used formats are standard and points per reception (PPR). In PPR leagues, players who tend to catch more passes than others at their position are of greater value. This format is popular largely because it can be predicted with fair accuracy what players will have more receptions based on past performance. Lists are kept for both standard and PPR scoring. Preparation for your league’s draft takes place by scouting players. Do your homework, and check to see what players are valuable based on their starting position. Use this to keep in mind what players you wish to select for your team. It helps to understand your own league’s scoring system and roster setup to create a solid strategy. Be safe and avoid risky players, like ones who tend to be injured often. And avoid putting all of your hopes on a single player, e.g. the quarterback. Instead consider each player you choose as a critical part of the team, with each piece constituting a whole. 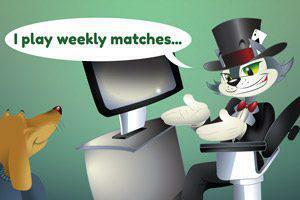 In fantasy football, matches coincide with outcomes of real players’ matches each week. Players’ real-time statistics are converted into points by the league organizer. The team that scores the most points wins the game for the week to determine the best fantasy football team. The objective is to win as many games as possible based on the scoring format in order to make the league playoffs. As the owner of your team, you can choose to drop players or trade and replace them with free agents (players unassigned to a particular team). For instance, if one of your starting players gets injured, you can choose to drop them in exchange for a healthy player. Trades can also be made amongst the other owners in your league. At the end of the fantasy season the best teams in your league square off in a single-elimination tournament to decide the champion. In a regular fantasy season each week is used to tally up points until the season ends. A regular season is usually 14 weeks long. Teams with the best records qualify, and take part in win-or-go-home matchups. With luck and appropriate strategy you could be crowned league champion, and be awarded top prize. This can be a trophy, money, bragging rights, or whatever is decided, so have fun playing! Now that you’re familiar with the basics of fantasy football, you can get started on joining a league of your own! Fantasy football is fun for fans of the sport and is a great way to stay engaged, interact with friends and colleagues, and potentially win big. As you follow the games in real-time each week, it’s exciting to know that you’ve invested more than just time into the sport. This is a big reason why people love fantasy leagues. It’s a great way to have fun and pass the time. If you’re a fan of betting and fantasy football isn’t your thing, CoolCat Online Casino has a huge selection of casino games to choose from. 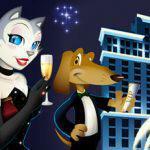 From fantastic slot games the latest popular table games, CoolCat Online Casino is your place to gamble online, on your mobile device or simply for free! You can also choose to play for real money, it’s easy. 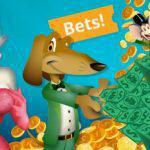 Simply sign up and register for a free account today to start winning big! 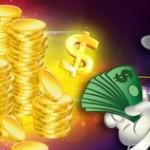 CoolCat Online Casino also offers round the clock, 24/7 customer support along with fast and easy secure deposits. 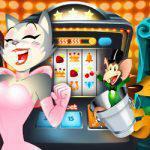 CoolCat Online Casino, where all the cool cats go to play.